As an industry leader for many years, Tyler Pipe & Couplings has a long history of positive recognition from both our peers and our customers. You can see our complete list of awards and accolades displayed below. The team developed a tool that uses gear reduction, allowing the team member to work outside of the tight space and remove the required cheater pipe. The required number of people for the job is now lowered to one person. We are proud to announce that Tyler Pipe & Coupling Plant Manager Bill Hoffman was named the 2016 Manager of the Year by the Missouri Association of Manufacturers (MAM). MAM Board of Directors Chairman Peter Fisher presented the award to Bill at a ceremony held on September 29 at Chase Park Plaza. The Made in Missouri Leadership Awards & Appreciation (MMLA) program recognizes innovative companies and individuals in the manufacturing industry from around the state of Missouri and includes categories like advanced manufacturing, global manufacturing, leadership & strategy, workforce development and promoting, preserving & advancing manufacturing. MAM was founded in 1993 and has matured into an influential association advocating for the vital interests of all segments of manufacturing. Their goal is to bring manufacturers together to address common issues and challenges while learning more about each other. Pictured is Bill Hoffman accepting the award. Tyler Coupling is awarded the Outstanding HS Performance Award. Tyler Pipe Company is awarded the Most Improved TRIR Rate - Foundry. Tyler Couplings is awarded the Most Improved TRIR Rate - Fabrication. Tyler Couplings is awarded the Outstanding Environmental Performance — Fabrication. In 2009, Tyler Couplings received ISO 14001:2004 certification. Tyler Pipe Company was awarded the AFS Millionaires Safety Award for achieving 1,000,000 man-hours without incurring an occupational injury or illness resulting in days away from work. Tyler Couplings was presented with the Star of Excellence Award for their 2013 accomplishments at the recent Region II VPP Conference held in Omaha, Nebraska. 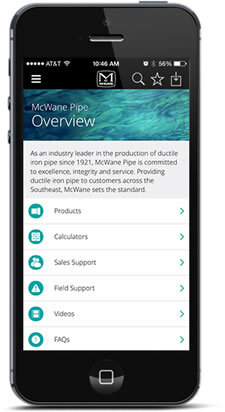 Tyler Pipe Company is awarded the 2005 McWane Screaming Eagle Award. Tyler Pipe Company is awarded the Outstanding Environmental Performance — Foundry.